Whether you love rodeo or westerns, this cowboy mask is sure to delight young and old alike. 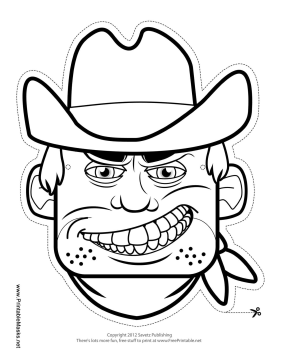 Color in the cowboy's hat, bandana, and face to make him look just like you! Don't forget to wear your cowboy boots! This mask is free to download and print.